Just Romantic Suspense: What To Give A Hero For His Birthday? What To Give A Hero For His Birthday? Every year, September thru April, I'm either focused on shopping for a birthday each month or shopping for an upcoming holiday. And even though I'm not really a shop-for-myself kind of person, I do love finding the right gift for someone else. Lately, I've been wondering what would happen if I had to shop for one of my character's birthdays—you know, actually go to the store, look around, spend money. What if they didn't like what I got? Then I'd be back at the return desk trying to negotiate a refund on the item, which is now on sale, and I've lost the receipt. We all know how that's going to turn out. Besides, do characters even have birthdays? Or do they stay the same age forever? What a silly question—of course, they have birthdays. Otherwise how would I ever write a series? But maybe I should let the other characters buy the gifts. 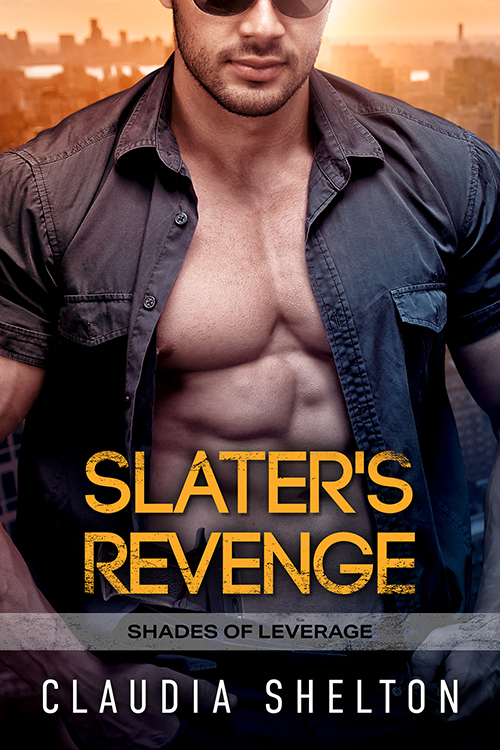 In fact, Josh Slater, the hero in my newest release, Slater's Revenge, has an upcoming birthday. Now what would he want? One look at the cover, tells me there are a lot of things I feel might be perfect for him…oh, yeah! But I digress. So, let's get to planning his birthday. First, Macki (Mackenzie) Baudin, the woman he could never shake from his system, has decided to throw him a surprise party. Personally, I don't think that's a good idea because he's had more than his share of dangerous surprises during his years as a protector agent. Then there's his boss, Drake Lawrence, he plans to send him to Tahiti for his birthday. Of course, Josh will be on assignment tracking down another one of Coercion Ten's bad guys, which will likely end up in a fight. And who wants a busted rib for their birthday? Maybe some of the OPAQUE Shades Team members will have a better idea of what to buy. Mitch has decided on a case of first aid kits for all Josh's injuries. Reese, has bought him a new pair of shades. Stealth sent word he'd buy him a drink when he's back from his undercover assignment, and Cat tossed a green bikini into the mix— No! Wait! The green bikini is for the heroine in Mitch's story, a later book in the Shades of Leverage series. And now there seems to be a problem. Josh has gotten wind of the surprise party. That's really not his style. Besides which, he has a better idea for him and Macki. What do you think? A soft whisper of music floated through the open doorway to her room just like every other night, then the damn vanilla and jasmine enveloped his senses…just like every other night. This time, the ache in his core grabbed with a vengeance. Tightened and twisted and threatened to take him to his knees. His need pulled him to live for the future, while only a tiny echo tugged him to the past. His conscience shouted, Close the damn door. Walk over and close her bedroom door before it’s too late. “Aw, hell.” He hurled his towel against the cabinet. It was already too late. He might never understand why he’d put himself through hell the past ten years. But he knew for damn certain that out on that balcony in the rain half an hour ago, the past had stopped dictating his life. Breathing in the sweet scents coming from Macki’s bath, he palmed his jawline back and forth, then grinned. He needed a shave. Thanks for having me at JRS! You're always a great place to be.